Home / Blog / Which board should I buy? If you are buying a board for the first time it can be confusing. It’s wise to consult with the experts to assist you when choosing a board that will best suit your needs. There are so many different types of boards designed to perform differently, and if you buy the wrong board, it may have a profound effect on your paddling experience. Most people I know have more than one –quiver– because once you get bitten by the ‘SUP bug’ you will most likely want to venture out and experience paddling in all its different forms! Generally speaking, you will be advised to start on a stable board for beginners, which is traditionally wider, has more volume and provides stability for an easier paddling experience. From here, you can learn the basics of SUP and really enjoy your time out on the water. You need to consider what you want to do. Are you competitive? Do you prefer relaxation and exploring? Will the whole family use it? Do you prefer the river or rather the ocean? If you are all of the above, then you are going to own more than one board eventually! My first SUP was a second-hand 12ft, 28 inch wide racer which was an old board and much heavier than the newer models. However, I got around on it everywhere and it served me very well…until I decided I wanted to learn to surf! I was so keen that I impulsively bought a brand new surf SUP. Much to my dismay, I could barely stand on it, let alone catch a wave, however, I persevered and now I absolutely LOVE it! I still can’t quite catch a real wave but I guess what I’m saying is, whatever you get, you will grow into or out of, so don’t despair. I now have four boards, one for cruising, flat water racing, down-winding and surfing…and yes admit I could probably let go of one of them – but not just yet. Try to demo as many boards as possible before you buy. Many of the surf shops will have boards that you can try and keep an eye out for local demo events. If you are buying second-hand, try to research as much as you can about the type of board that will suit you best. This will then allow you to narrow it right down and save yourself some time in the process. 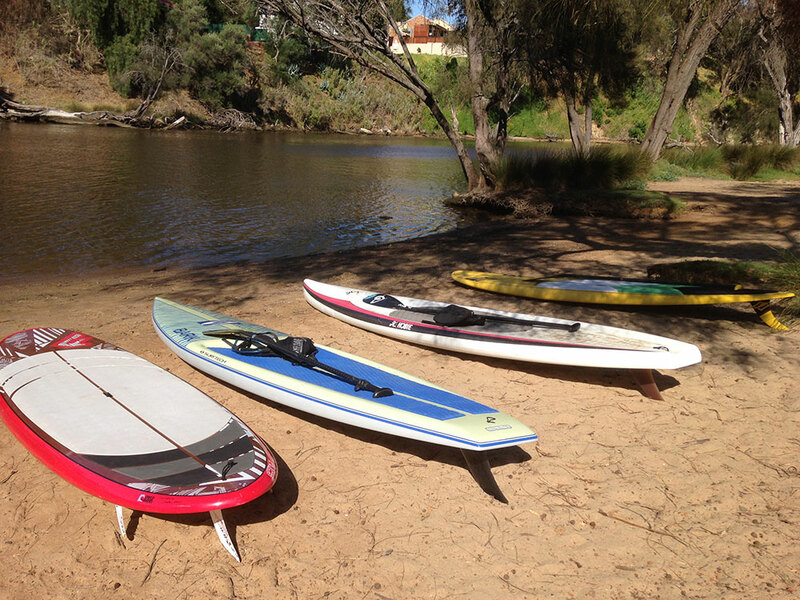 Feel free to join our SUP Tonic Australia Facebook Group and ask the members for some advice. We are always happy to help!